Pallet Stackers are designed to lift pallets and objects onto racking and shelving. 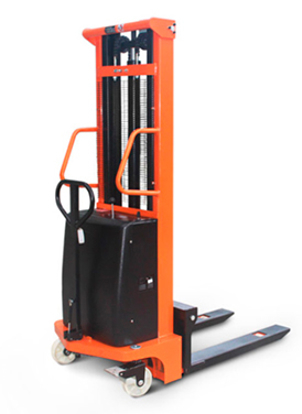 A Pallet Stacker is an affordable and safe alternative to a forklift. Brilliant for small warehouses where space is tight. At Arrow we sell both electric and manual lift stackers. 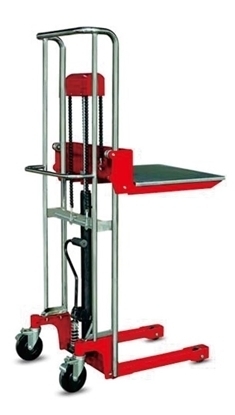 This 1 tonne electric hand stacker uses a battery-powered hydraulic to lift up to a max of 3 metres. It is significantly faster than manual pull power.